Billionaire is the creation of London Whitechapel's John Sterry. The very English observations "condemning the idolisation of the rich and famous" sit comfortably over some quite gentlemanly, minimal accompaniment. stripped-back steely guitar, bubbling bass and relaxed, shuffling drums, it's a quietly-revealing listeners' band that feels as though the scenes he paints are slowly moving in black-and-white. 'Tammy Paints Pictures/Trustees' is one of two tracks available now on Billionaire's Soundcloud and a single release is expected Summer 2014. 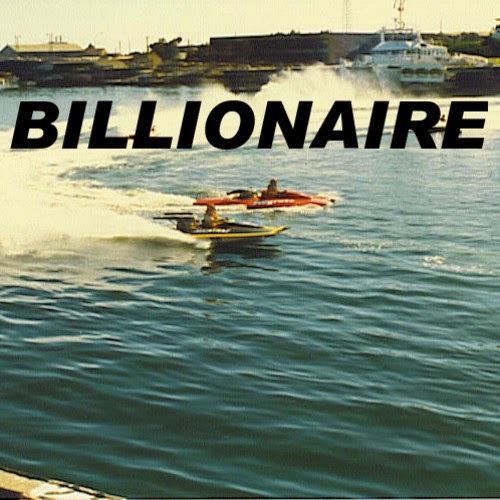 More info at www.billionaireofficial.co.uk.